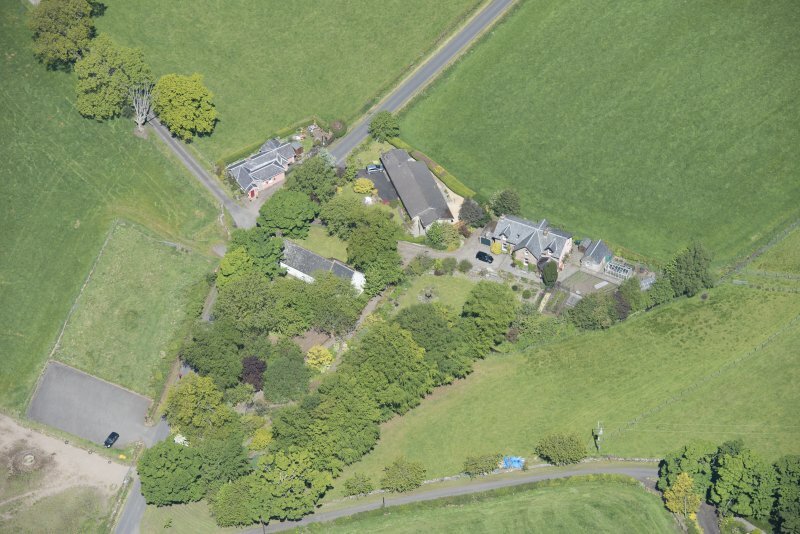 Oblique aerial view of St Mahew's Chapel, looking NNW. Oblique aerial view of St Mahew's Chapel, looking N.
Plan and detail of altar mensa. 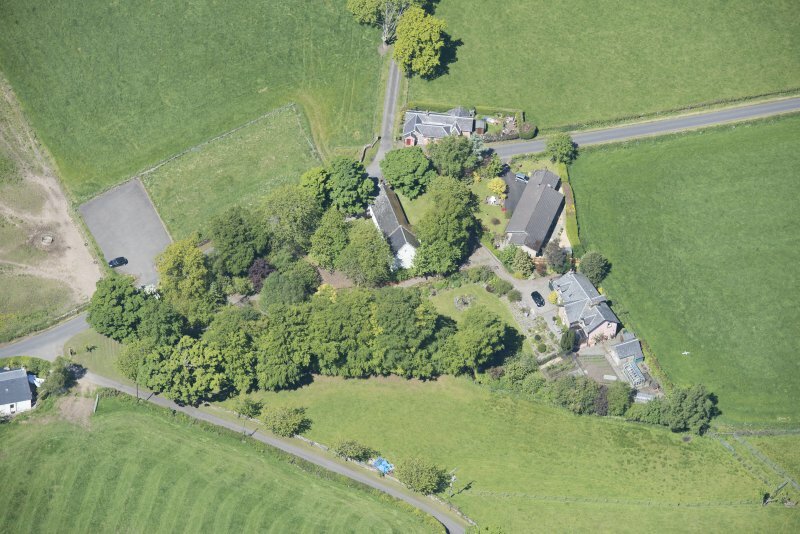 Oblique aerial view of St Mahew's Chapel, looking E.
St Mahew's Chapel, Cardross. Fragments of 'shrine'. 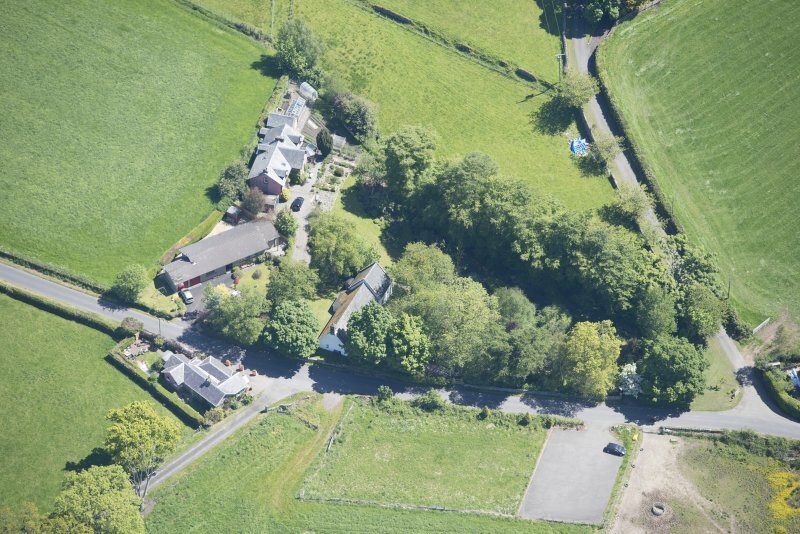 Oblique aerial view of St Mahew's Chapel, looking ENE. St Mahew's Chapel, Cardross. 'Shrine' fragment. Scan of photograph taken by Mr I Fisher. 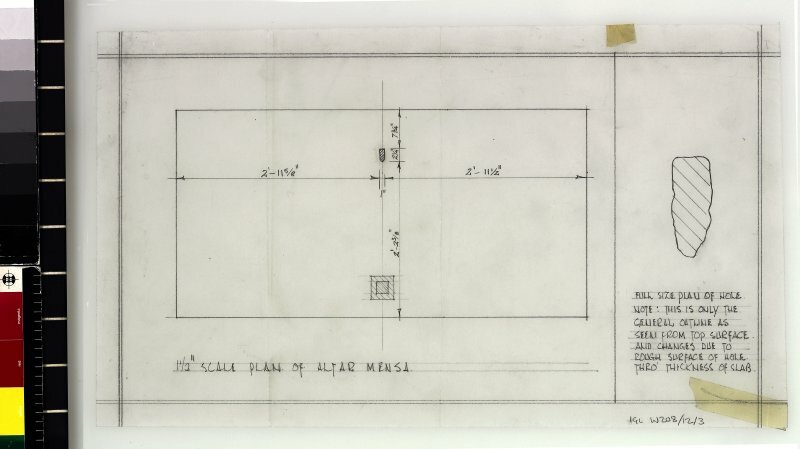 Plan entitled 'Miss Cooper, Sidetable, 5'-6"x1'-10"x3 feet high with glass top'. Scale 1:1. Interior. Drawing entitled 'F.S. 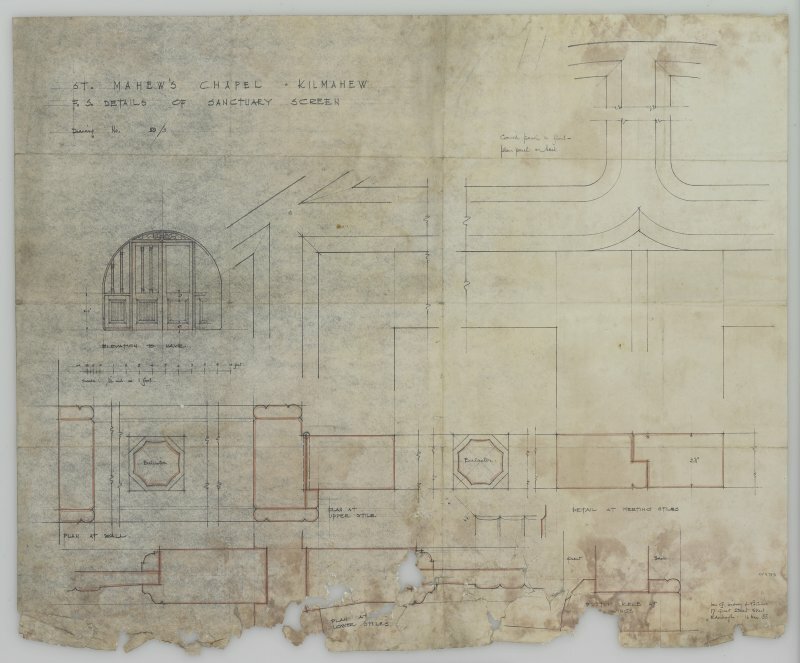 Details of Sanctuary Screen' by Ian G Lindsay and Partners Mechanical copy of Drawing No. 50/3. East end, view from West. 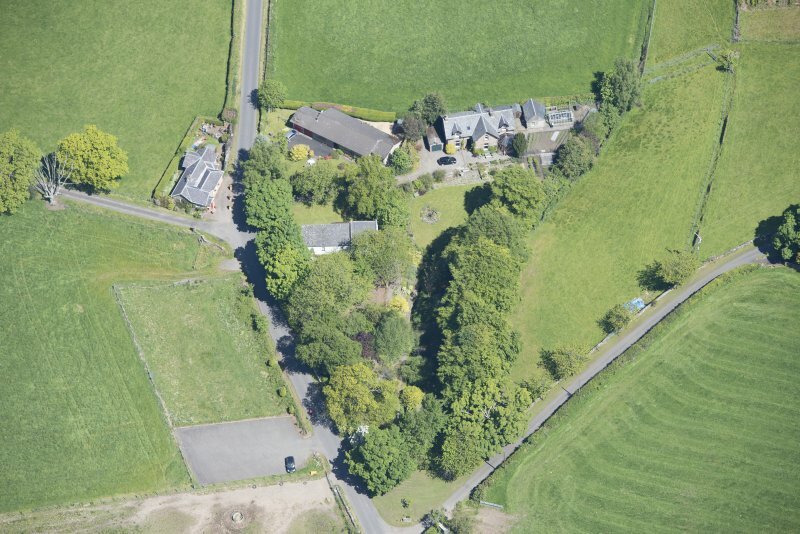 Oblique aerial view of St Mahew's Chapel, looking WNW. 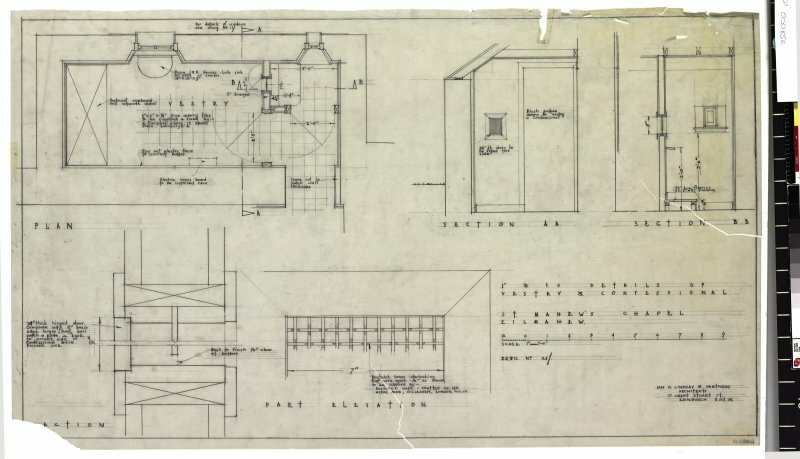 Details of vestry and confessional. 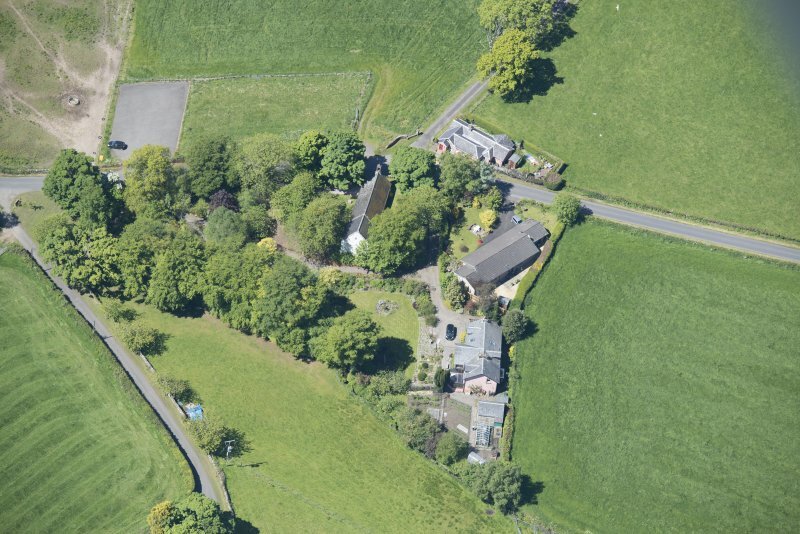 Oblique aerial view of St Mahew's Chapel, looking W.
St Mahew's Chapel, Cardross. 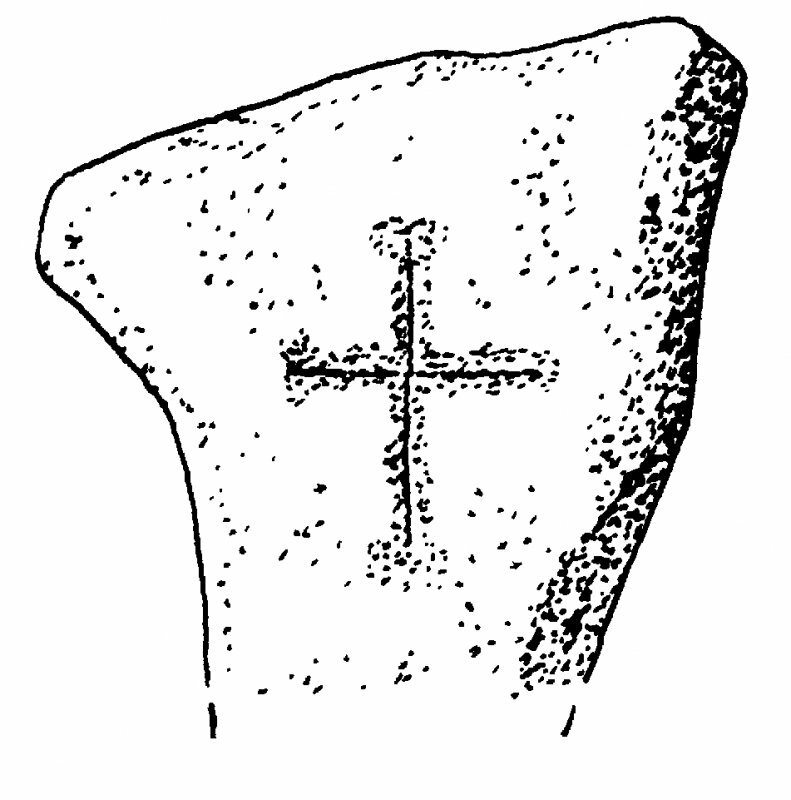 Small incised cross-slab. The remains of the Chapel at the Kirkton of Kilmahew stand in an ancient churchyard about 1 1/2 miles NW of Cardross railway station. A chapel existed there in 1370; in 1467 a new chapel was erected, and dedicated to St. Mahew. It is possible that the existing chancel is part of the structure then dedicated. 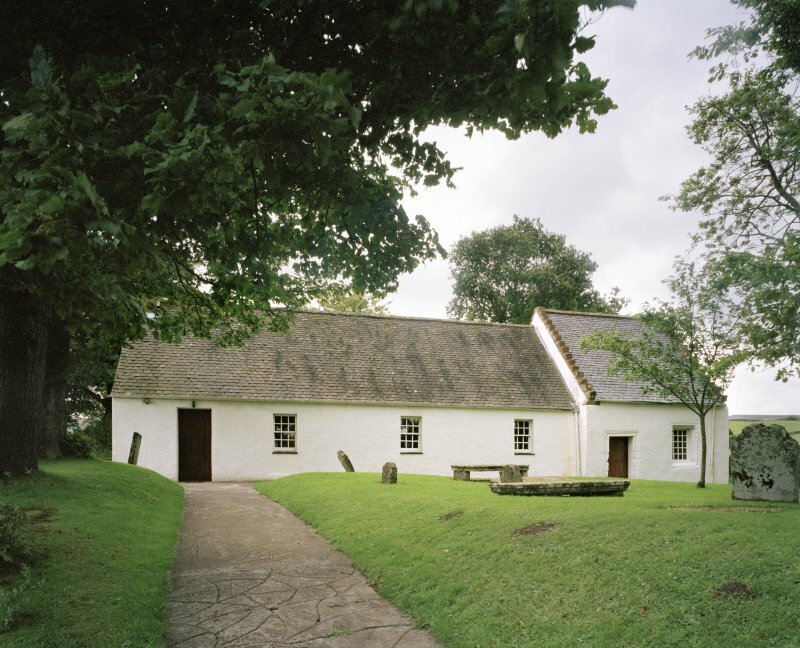 In 1640, a portion of the chapel was turned into a school. The building is now unoccupied, but it is kept in good repair. It consists of an eastern portion or choir, which is roofed and a western portion or nave, which is roofless. The former is ancient, but the latter appears relatively modern. The enclosure probably occupies the site of the original nave but the walls appear to have been rebuilt. There was a nave in existence in 1640. 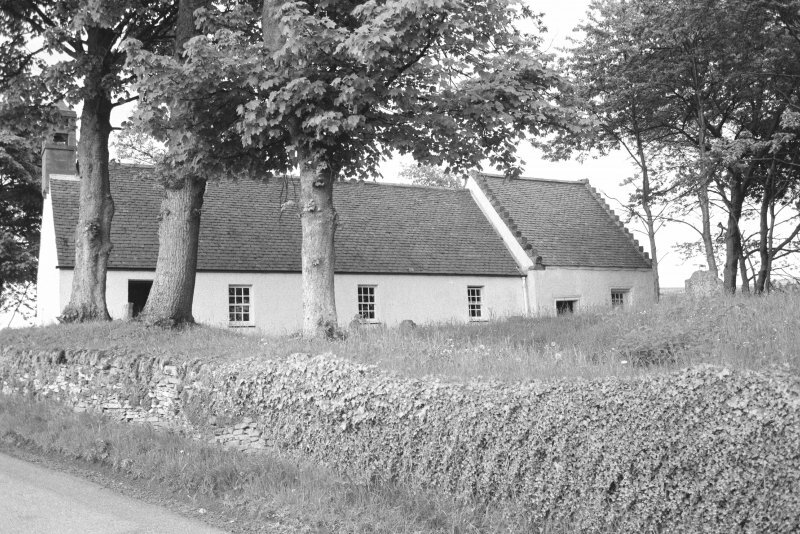 Saint Mahew's Chapel in 1948 became the property of the Archdiocese of Glasgow. The first structure was probably a cell of St Mochta of Louth, who died AD 535. The upper part of a standing stone upon which had been inscribed a cross, probably dating to the 6th century, and a 9th or 10th century tomb carved with a Celtic interlaced pattern, were discovered in 1955. The chapel was rebuilt in 1467 and it is the ruin of this building that has been restored in 1955. NS 342 786 A small incised cross-slab and fragments of a shrine found on the site suggest that it was in use at a date much earlier than 1370, when the first documentary reference to the chapel occurs. 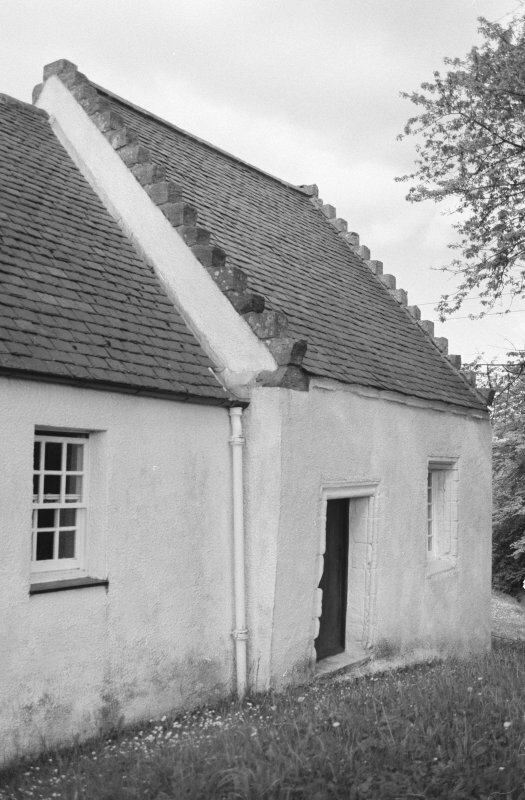 The present building was erected in 1476 and heavily restored in 1955. D MacGibbon and T Ross 1897; D McRoberts 1955. 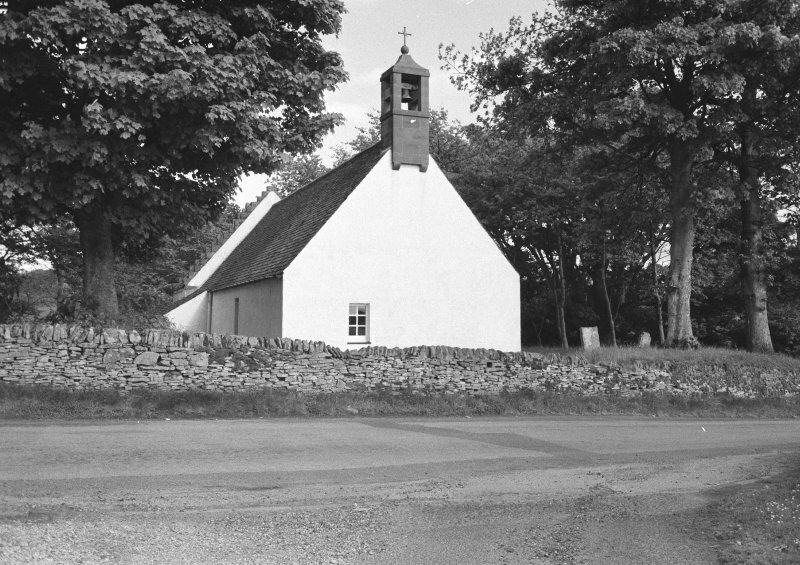 St Mahew's Chapel now has a harled exterior and has been roofed with slate. The insised cross slab is preserved within the chapel. OS (DS) confirmed. The chapel is used by St Peter's College for worship. Also now preserved in the chapel are parts of the tomb described as 9th or 10th century which are thought to be the remains of the shrine of St Mahew. 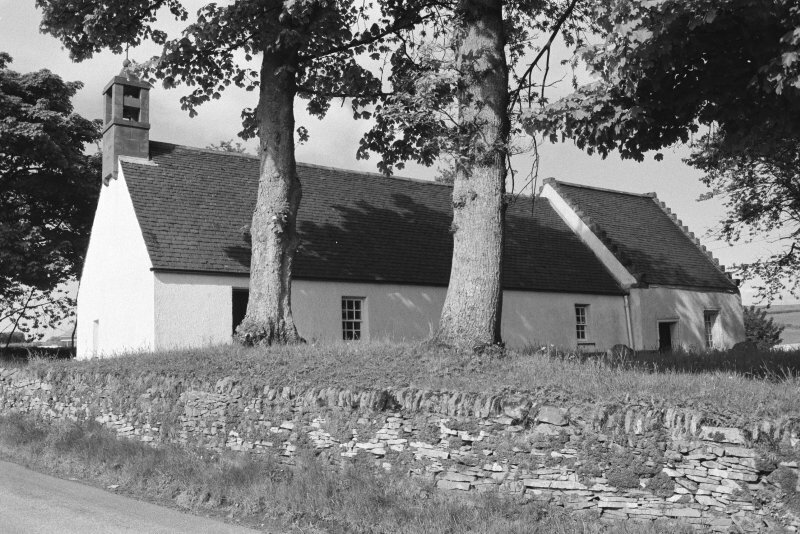 The medieval chapel of St Mahew is situated at Kirkton of Kilmahew, about 1km NW of Cardross and 1.3km from the N shore of the Firth of Clyde. The chapel, which was mentioned in two charters of the 14th century, was largely rebuilt in 1467 and was restored for Roman Catholic worship in 1953-5 (a). It stands in a small burial-ground and comprises a narrow nave which was extended to the W in 1953-5, and a wider and almost square 15th-century chancel. A cross-marked stone and a slotted slab which may have been associated with a shrine were found buried outside the N wall of the nave in 1955 and are now in the chapel (b). (1) Irregular slab of fine-grained buff sandstone whose broken foot is concealed in a modern timber socket. It is 0.37m in visible height by 110mm in thickness and is 0.42m wide at the sloping top, from which it tapers, curving at the left, to the foot. One face bears an equal-armed cross, 0.19m in height and span, with expanded terminals which are best defined in the top and left arms. The cross has been pecked to form shallow and irregular V-section grooves, and a later incision runs down the shaft. (D MacRoberts 1955, 6-7; C A R Radford 1966, 4-6). 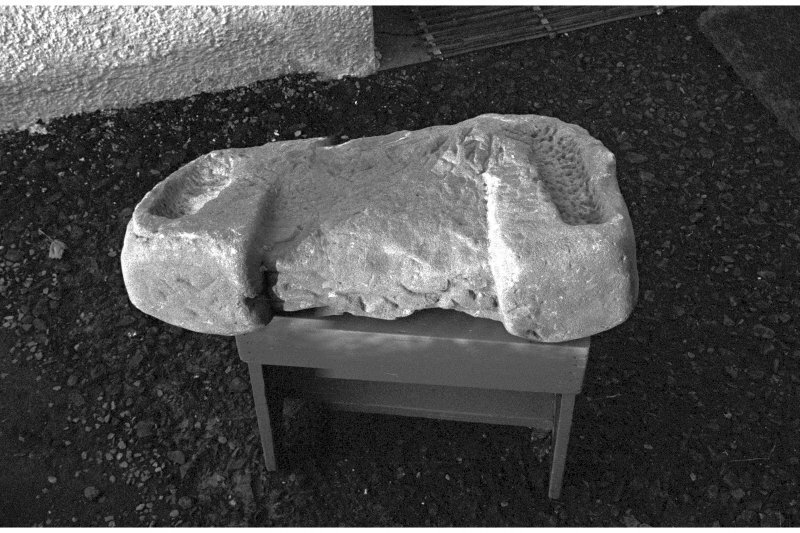 (2) Worn and irregular slotted slab of sandstone which was reconstructed by Radford as the broken end of a cover-slab from a composite stone shrine. However the rough tooling and slight thickening at the break suggest that this area was concealed and that the slab was a vertical end-slab into which two side-slabs were fitted. It measures 0.7m in width by 0.45m in maximum height and 0.18m in maximum thickness. 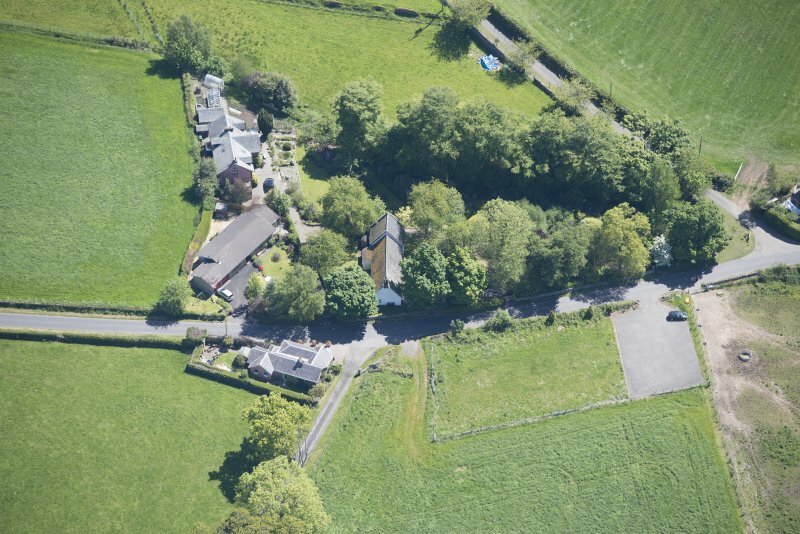 Its centre is tapered and recessed on both faces between two rectangular angle-posts whose tops rise about 40mm above the centre and slope down to the sides. These posts incorporate the slots, which are 0.5m apart at the top but are inclined so that they are only 0.43m apart at the foot. They are about 60mm wide and 40mm deep, and that to the left is 0.24m high but the other only 0.19m. They have been pecked out with a pointed tool or pick and similar marks survive on the recessed central panel, which is 0.25m high above a thicker base, now broken. The top edge of this panel bears a double-beaded twist with square ends (RA 501), and one of the angle-posts preserves a square fret with a continuous band forming four triangles (RA 724). Radford reported the discovery in 1955 of another small fragment, about 100mm thick and bearing traces of interlace, and of two slabs which had been set at the sides of a grave with the slotted slab at the head. The two slabs were recorded in 1978 but their present location is not known. They were of local grey sandstone and measured respectively 0.92m by 0.46m and 70mm thick, and 0.61m by 0.36m and 65mm thick. There was no evidence that they had been provided with tenons to fit into the slots, or that their association with the end-slab was anything but secondary. It is possible that the slotted slab was indeed designed as part of a kerb round a grave rather than an enclosed shrine, since there is no obvious provision for a cover-slab and the inclination of the slots is puzzling. 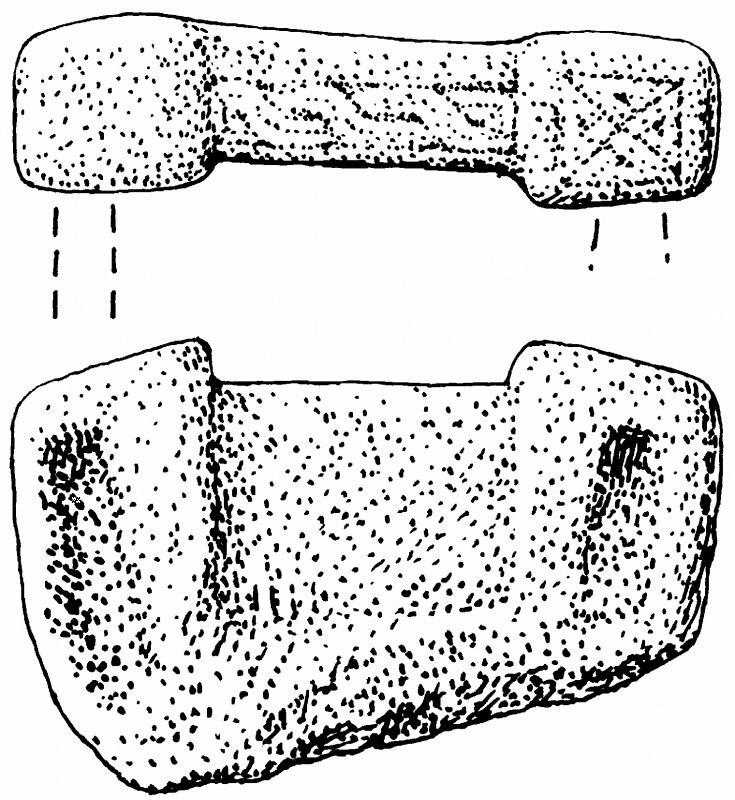 Against this may be set the apparent derivation of a type of slab found at Govan, Inchinnan and Kingarth (No.6(4)) from a corner-post shrine with decorated cover (c). (a) OPS 1851, 26-7; D MacRoberts, 1955; D MacRoberts 1961, 42-3; C A R Radford 1966, 3-10. (c) A Ritchie 1994, 114-15. C A R Radford 1966, 3-4, 6-9; C A R Radford 1968, 121.